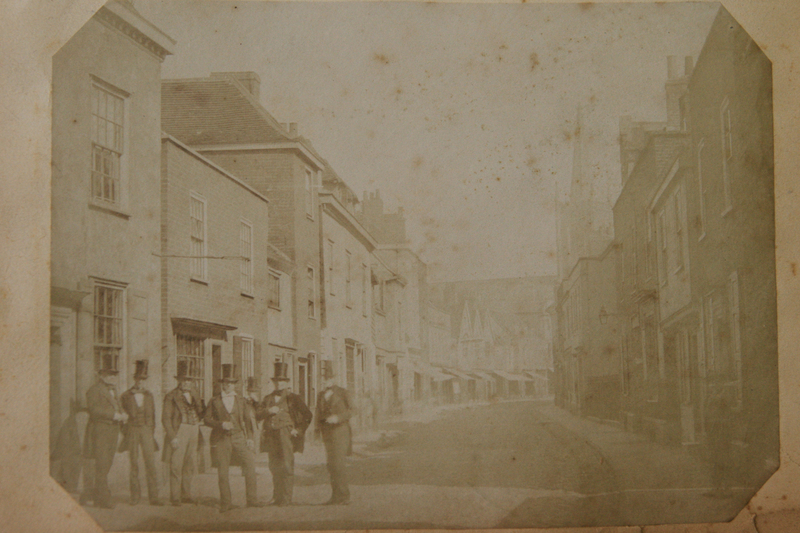 The ERO has recently acquired a photograph album which contains some fantastic pictures of Harwich in the 1850s. Here we bring you an exclusive sneak peak at its contents before it is treated in our Conservation Studio and digitised. 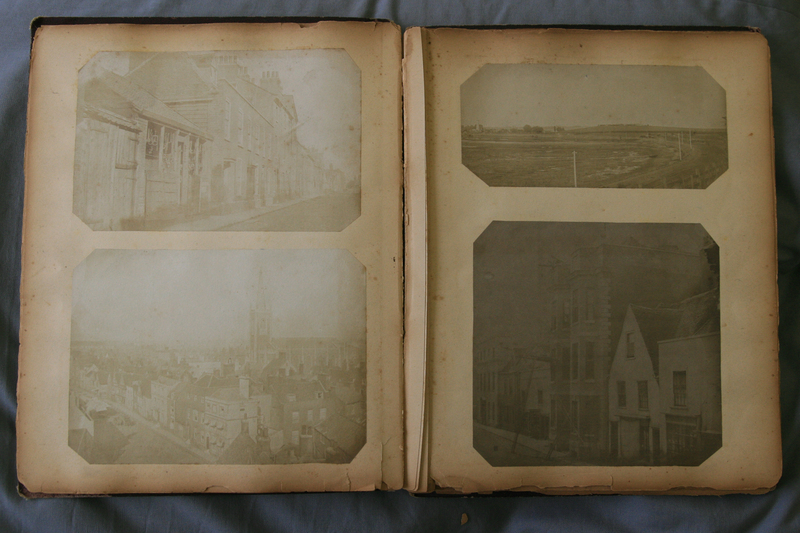 The album, although rather dilapidated, contains 47 rare salt paper prints of Harwich which seem to date from about 1855. Many of the photographs have faded, but despite this the images remain remarkably sharp. 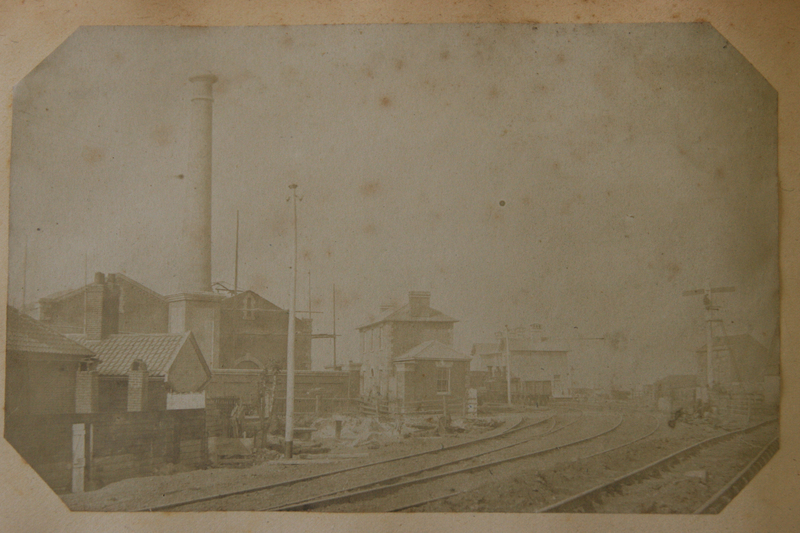 They capture a moment when Harwich was being transformed by the rebuilding of the quay, the arrival of the railway and new developments such as Orwell Terrace. The album seems to have used the new technology of photography to deliberately create a record of these momentous changes. 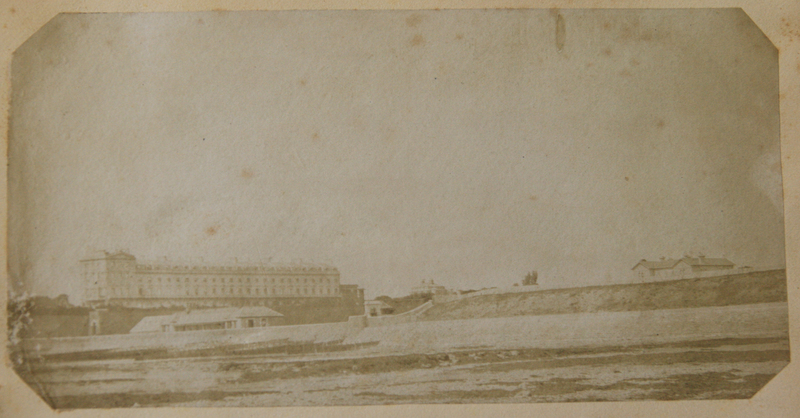 The album includes images of the High Lighthouse, St Nicholas’s church, Orwell Terrace and Cliff House. They also show the short-lived first station in Harwich and works to reclaim land in Bathside to extend the quays. 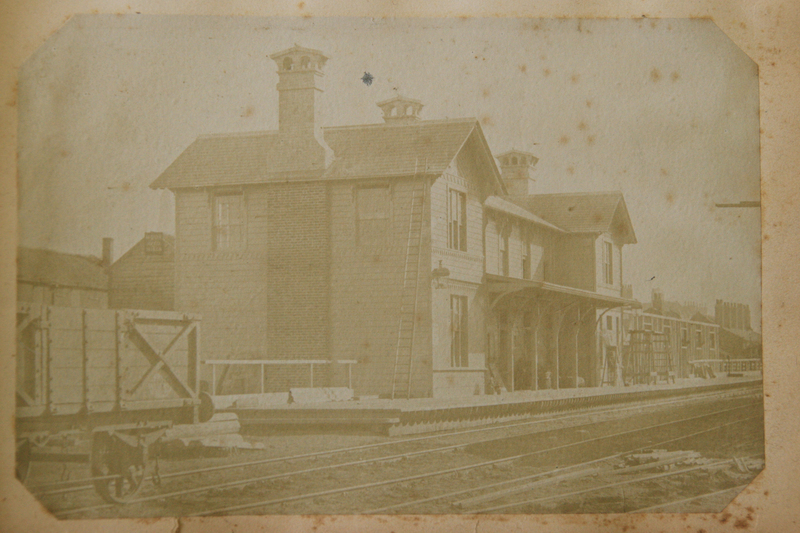 The album may have some personal connection with Robert Bagshaw who was the investor who built Orwell Terrace and Cliff House, and who was instrumental in bringing the railway to Harwich. 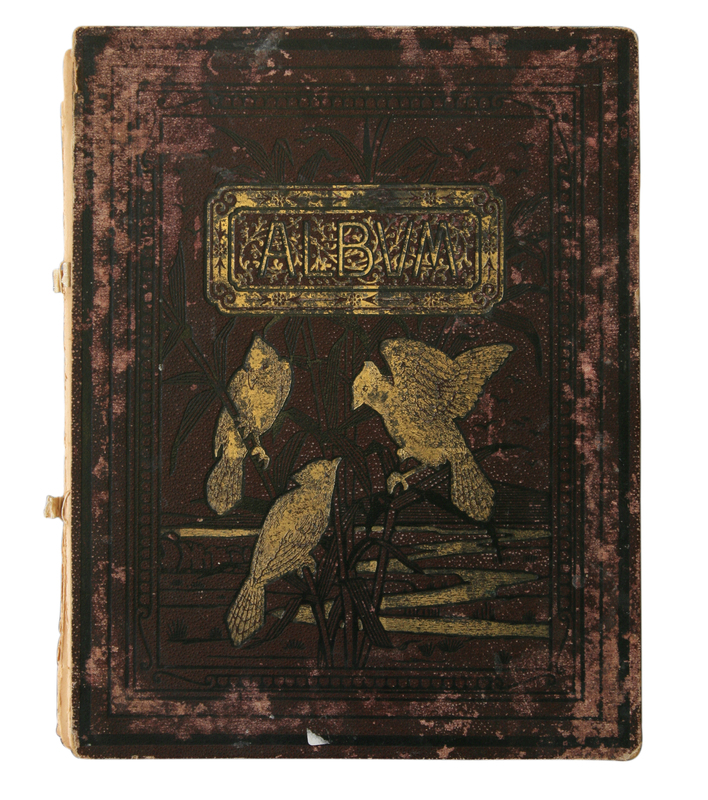 Unfortunately the album does not have any contemporary indication of ownership. 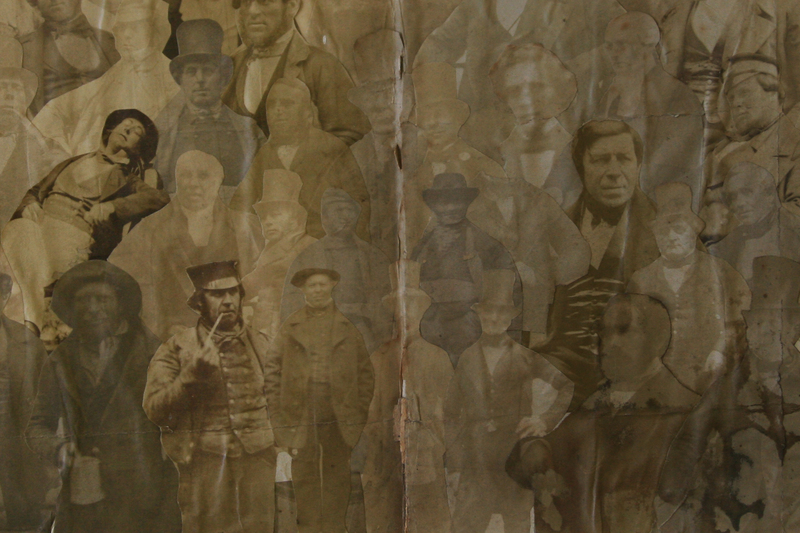 The album also includes a photo-montage of many different people, almost exclusively men, who are possibly a mixture of local residents and people involved in the building works. 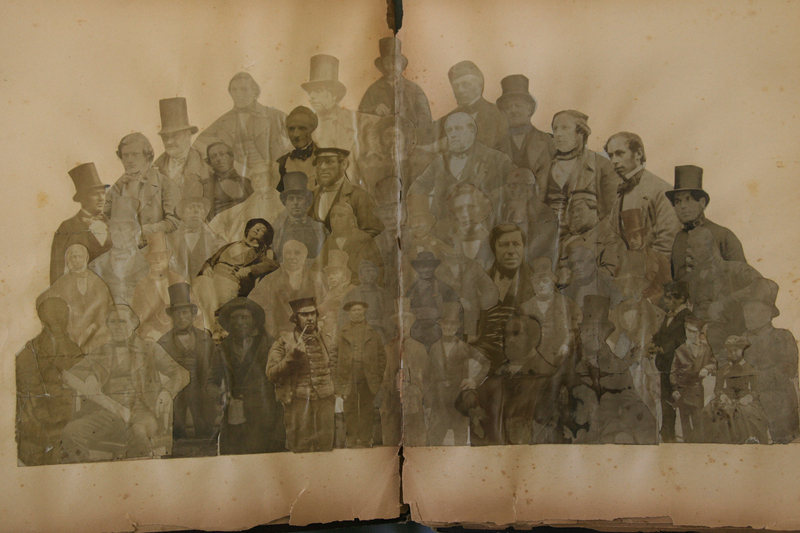 The identification of the faces featured will be a challenge for dedicated enthusiasts! The album has been catalogued as A13438, and we will now do everything that we can to preserve the images. 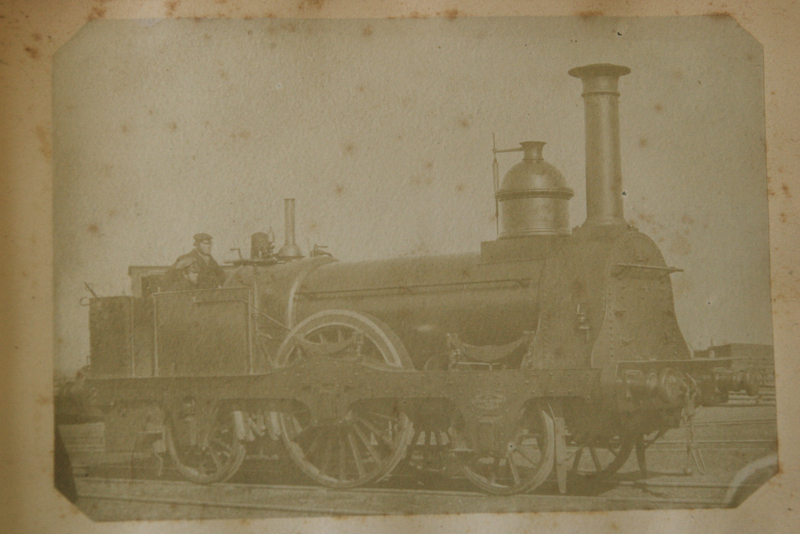 The album was purchased for the ERO by the Friends of Historic Essex, and we would like to thank them for this fascinating addition to the ERO’s collections. 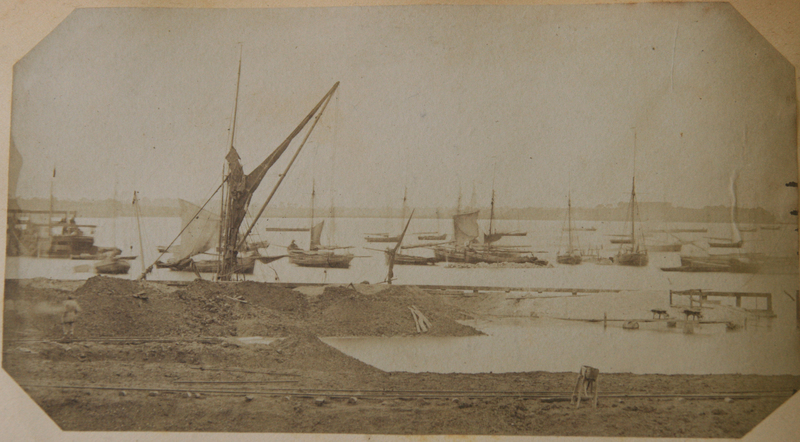 This entry was posted in Archives, Collections, Essex history, News and tagged Harwich, photographs by admin. Bookmark the permalink.